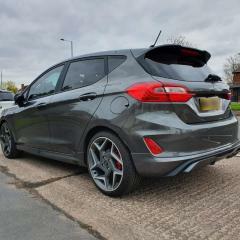 Does anyone have any links, videos, indepth tutorials on how to install a aftermarket sub woofer to a mk8 Fiesta St-Line, had a search about cant find anything of good quality, If anyone has any sub woofer recommendations would be greatly appreciated too. I've installed an aftermarket vibe subwoofer with a built in amplifier in my MK8. Unfortunately in reply to your question I have no links or videos on how to do it. I struggled to find this information when I installed mine, so I just used my previous experiences and the help of a friend with electrical knowledge to wire the remote wire to the fuse box. What exactly do you need to know or how to do?